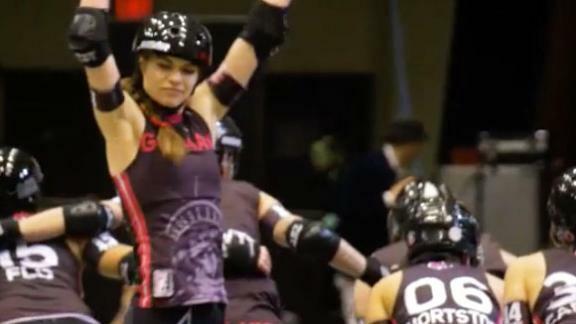 She won five WFTDA championships in New York with Gotham, but now Nicole Williams, aka Bonnie Thunders, has moved to Portland, Oregon, and joined the Rose City Rollers. We look back at some of her glory days with Gotham. 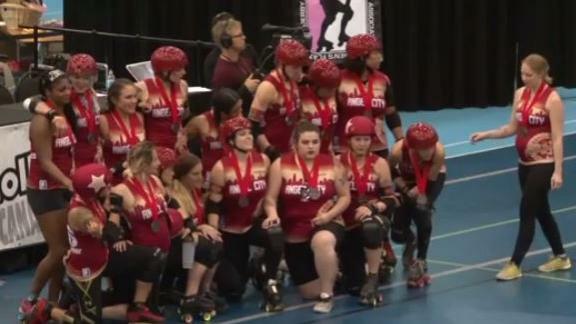 The Rose City Rollers win their second straight International Women's Flat Track Derby Association championship by defeating the Gotham Roller Girls. No name is more synonymous with roller derby than Bonnie Thunders. 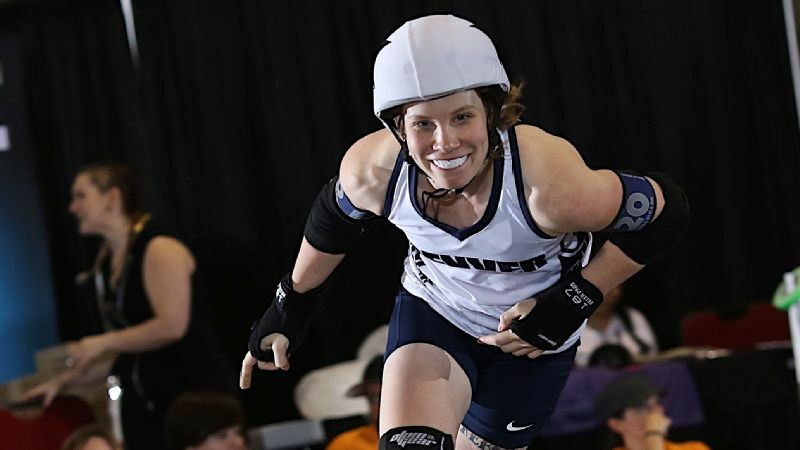 Considered the best player ever, Thunders has led New York's Gotham to five Women's Flat Track Derby Association championships since joining the team as a rookie in 2006. 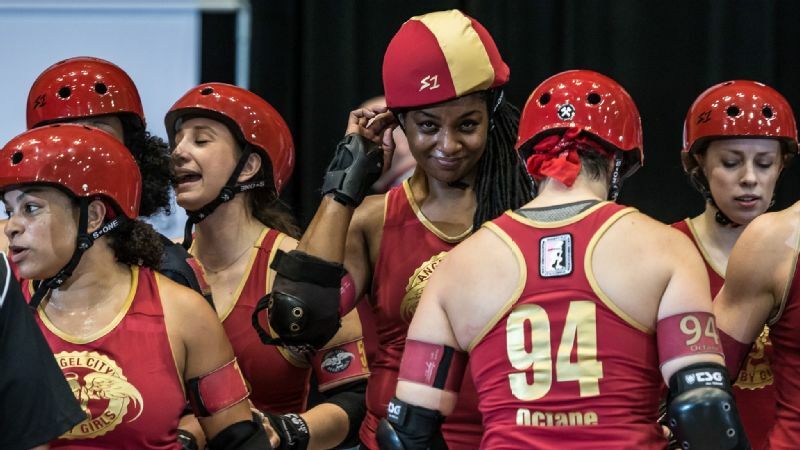 Nicole Williams, also known as Bonnie Thunders, has long been an admirer of Rose City's offense. Now she is part of it. 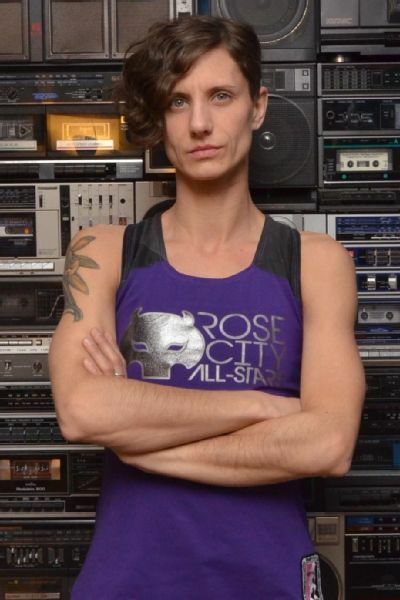 Thunders, whose real name is Nicole Williams, has moved to Portland, Oregon, and joined the two-time reigning world champion Rose City Rollers. 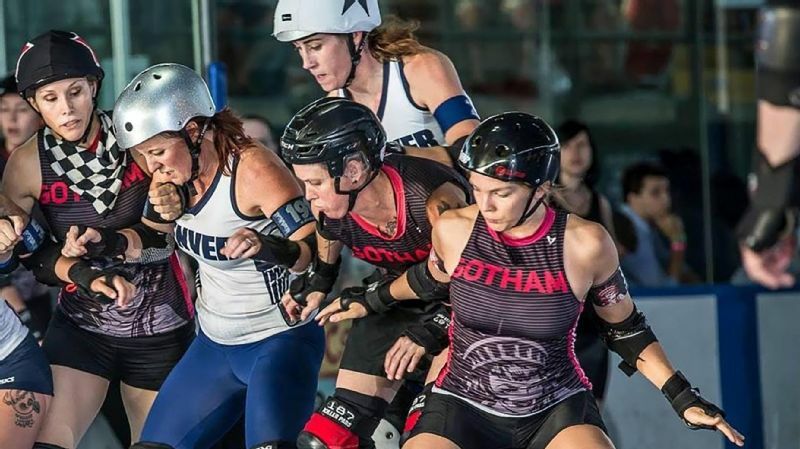 Williams' decision to join Rose City completes what some see as a seismic shift in the game, with dominance at the top level of roller derby moving from Gotham to Rose City. 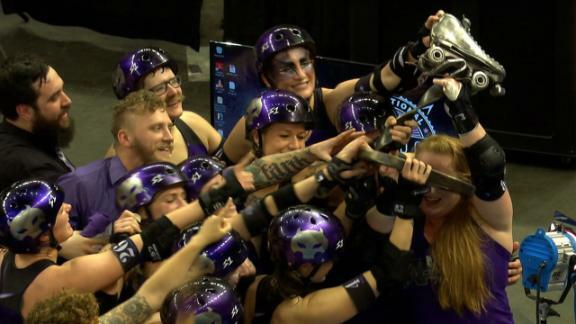 The rivals have played in the past three WFTDA finals, with Rose City winning the Hydra Trophy the past two seasons. 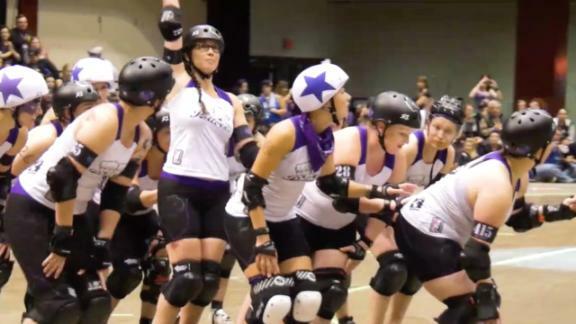 "Bonnie joining Rose City is kind of like Kevin Durant joining the Golden State Warriors," said Cassie Knox, a longtime roller derby blocker from Texas. "She's an incredibly strong and talented opponent, but humble." In Portland, Williams joins a well-rounded squad that includes five other players who have represented Team USA at the World Cup. For Williams and her partner, Drew "OMG WTF" Flowers, the decision to move to Portland involved both roller derby and their love of the Pacific Northwest. The couple has opened up a West Coast location of the Five Stride Skate Shop, their retail and online business that specializes in roller derby gear. While Williams will skate competitively with Rose's travel team, the Wheels of Justice, Flowers has moved into training and coaching and was recently selected, along with Denver Roller Derby coach Tim Burns, to manage and develop USA Roller Derby and the 2018 USA World Cup team. We caught up with Rose City's newest star. espnW: So, you've moved to Portland. What prompted your relocation from New York City? Nicole Williams: OMG and I have been talking about moving to Portland for about five years now. Let me rephrase that, OMG has been trying to convince me to move to Portland for five years. We loved Brooklyn and friends, family and Gotham. But we were looking to start the next chapter of our lives, buying a house, and that wasn't financially feasible in New York. Portland is an amazing city that values environmental sustainability, and I'm a tree hugger at heart. With some savings in the bank and the idea to open a second Five Stride Skate Shop, the stars aligned and we finally made the move possible at the end of 2016.
espnW: You and OMG have been a central part of Gotham Girls Roller Derby since 2006. Describe what your teammates built in New York. NW: What we've helped build is indescribable. It's a team based on hard work, camaraderie and a unified goal. The best part is, we were building something that transcends what each person contributed. It's truly a legacy that I am infinitely proud to have been at the heart of for so many years. 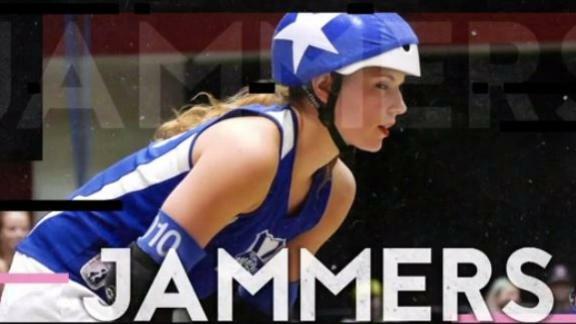 espnW: Rose City's Wheels of Justice is stacked with jammers like Loren Mutch, Scald Eagle and Jessica Rodriguez. How will your routine change by joining your former rivals? NW: I love a healthy dose of competition and have always looked at my jammer squad as a consortium of sorts. We get to learn from each other and help each other improve and grow. I'm looking forward to getting a new perspective and both learning from and teaching my new jammer team. espnW: From 2011 up to 2015 Gotham was undefeated and unbeatable. But Rose City eventually prevailed. How does Rose's style differ from Gotham? NW: Offense. It's not quite as simple as that, but Rose City has fine-tuned their offensive play better than almost any other team. Much like the "hivemind" that Gotham's defense touts, Rose City's offensive communication, trust and timing has an element of intuition and instinct that is hard to beat. espnW: You've been a big part of the international game, too. 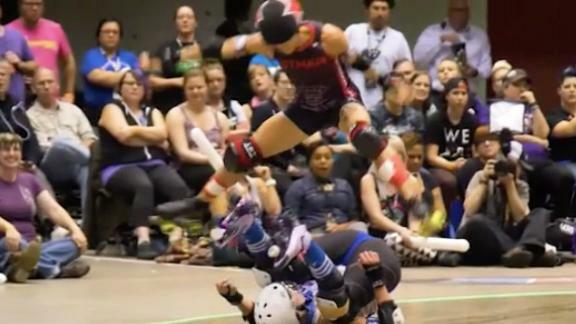 With the next World Cup in sight, do you expect other countries to compete better with USA Roller Derby? NW: With each World Cup, the gap closes among the top teams. I have no doubt that World Cup 2018 will feature even tighter competition. With the rise of some very successful WFTDA teams in the last few years, it will also be interesting to see how teams like Sweden and Finland fare. I'm not discounting anyone as a competitor. espnW: How does moving across the country impact your ongoing community efforts? NW: Much of my life in NYC was dedicated to Thundercats TNR, my feral-cat trap, neuter, return project. It's killing me not to be giving back to my community for a moment, but we're busy renovating our new house and setting up the new business. I was also very involved in the Gotham Juniors derby program. The Rose Buds [Portland's junior derby league] are slowly finding Five Stride and in no time we will have a gaggle of teenagers hanging at the shop. I hope to get some coaching time in with the Rose Buds soon. espnW: We've joked before about how Bonnie Thunders might retire from roller derby in her 50s or 60s. But seriously, what's in store for the future? NW: This season is a perfect opportunity to take a step back from team leadership and experience derby from another perspective. I'm excited to focus a little more on my personal training and hope to get back to coaching other leagues since I haven't had much free time to do that in the past couple of years. Follow Andy Frye at @MySportsComplex.